Fill in the fields in the green marked area. An e-mail will be sent to your indicating that the use of Api has been activated. 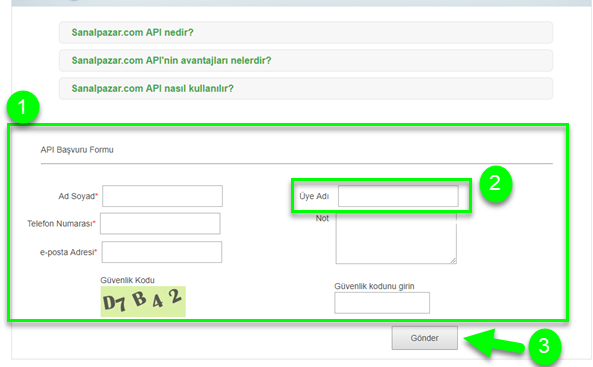 After receiving this mail you can use the Sanalpazar.com Api account. Click on Available Shops and select Sanalpazar. Enter an internal name for your Sanalpazar shop. 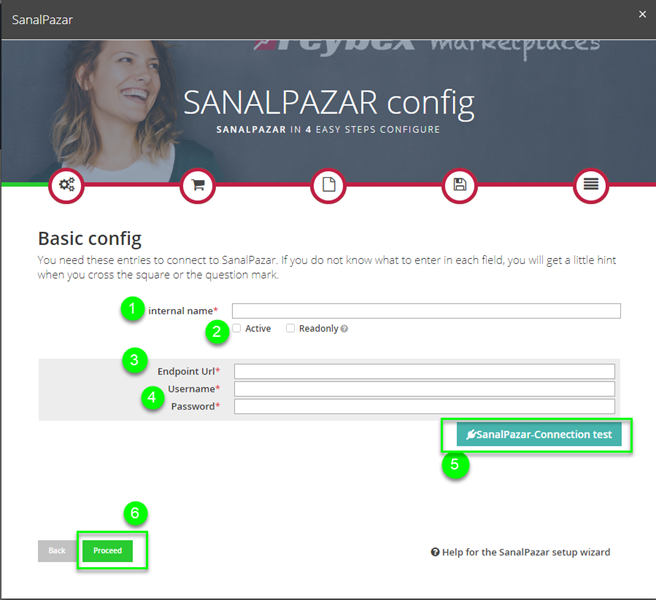 Click the checkbox Active to activate the connection to your Sanalpazar shop. Enter the Endpoint URL of Sanalpazar. Transfer Username and Password from your Login page to reybex. Fill in the following forms. Keep on clicking on Proceed. Under Import Categories, click Read categories and import your Sanalpazar categories to reybex. Click Save and start article import.